A beautiful kitchen addition to a a festive home. 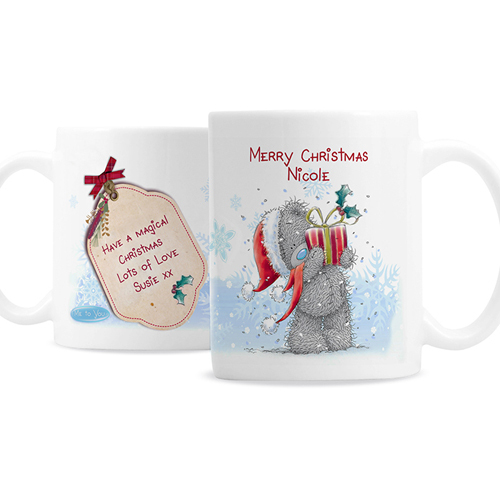 Personalise this 'Me To You' Christmas Mug with a message over 2 lines of 20 characters each on the front and a message to the back over 4 lines of 20 characters per line. Personalise with a message over 2 lines of 20 characters each on the front and a message to the back over 4 lines of 20 characters per line.